Whatever holiday you celebrate this season, all of us at The Potter's Wheel want to wish you and yours a heart warmed with love, a smile full of gladness, a spirit brimming with creativity and a world blessed with peace. "BRINGING IT HOME FOR THE HOLIDAYS"
Our Holiday Open House/Everyone’s Welcome Party! kicks off with special activities, promotions, free raffles and special sales on Sunday, December 3rd from 2 to 7pm . Come on by and help us celebrate the season! We are planning a real shindig this year - there will be free hot cider, treats, music and several pottery demonstrations. We'll also be having special sales in our gallery, a pop-up store with handcrafted woolen items for sale and you'll be given FREE chances to win classes and special ceramic pieces with our raffles (one entry per item per person). No purchase necessary, but if you shop in our gallery between December 3rd & December 10th you will be able to take an EXTRA 5% OFF your purchase and, as a bonus, for every $50 spent you will get 5 ADDITIONAL raffle tickets with chances to win the prize of your choice! Raffle winners will be announced on December 10th at 6pm. 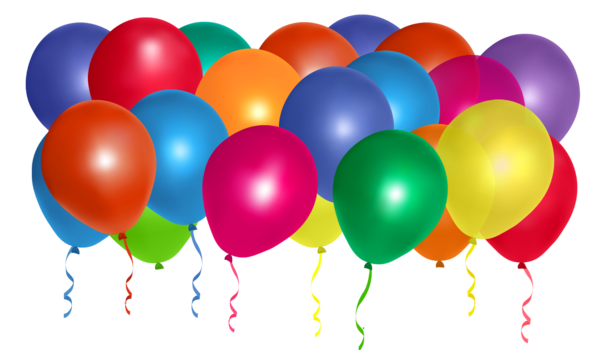 Join us for the drawing or we will notify the winners by email. Throughout the month of December take 10% off EVERYTHING!! That perfect handmade ceramic gift, handmade silver necklace, bracelet or earrings, every class, gift certificates... you name it! Special savings for all class preregistrations and Holiday Crawl days. Not to mention our Featured Artist specials! Why not start the New Year off right? Our January semester begins the week of January 7th 2018. NEW STUDENT REGISTRATION 10% OFF on any of our 7-week classes (must be paid in full by Dec 24th) INCLUDING CLASS GIFT CERTIFICATES! We love the diversity of our potter's creations! 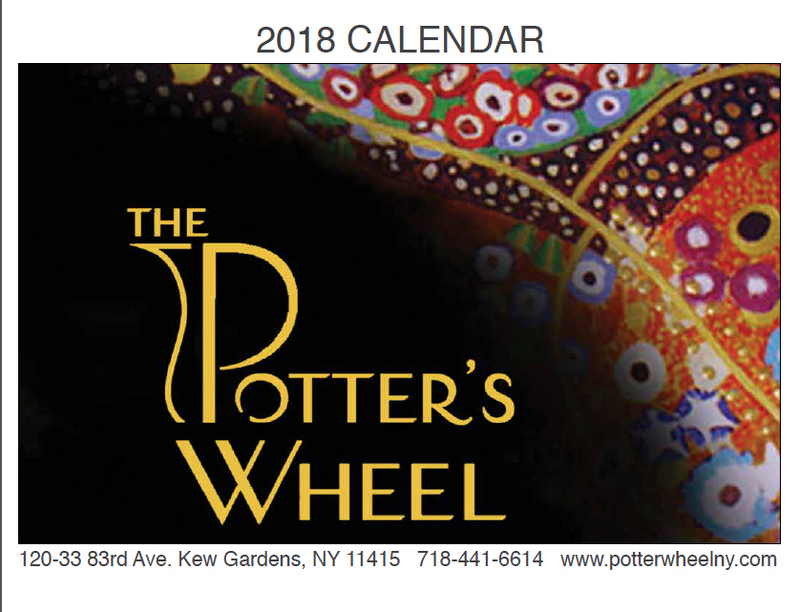 With so many interpretations of classic forms and new inspirations of both function and form, we decided to consolidate 144 of our artist's work into a 2018 POTTER'S WHEEL CALENDAR so that you can be inspired for the next 12 months to bring creativity and beauty into your world. Our new calendar will be on sale in our gallery and it makes the perfect gift for anyone on your list. How would you like to create your own personal Silver Charm or Pendent? 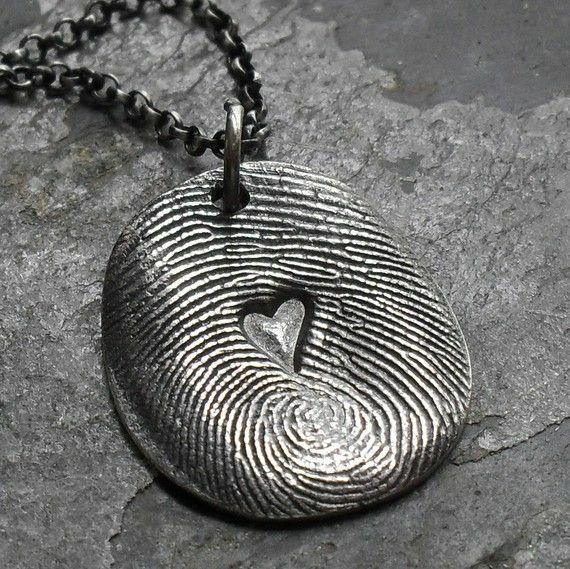 Imagine: your child’s fingerprint, a monogram... what will you choose to do?? We'll show you how to create amazing handcrafted real Silver pendants, earrings and charms from Precious Metal Clay! We will provide you with everything you need to create a one-of-a-kind, special personalized gift for that special someone. Price includes 7 grams of Silver Precious Metal Clay (enough to make 1 large medallion or 2 small earrings or charms). Additional clay is available for purchase. You will be able to pick up your finished pieces within 3 days. OR... if you prefer, we can CUSTOM DESIGN & MAKE that Silver pendent, charm, bracelet, necklace or earrings for you... just stop by and tell us what you're looking for and together we'll design that perfect piece for that special someone! Something that will bring you all smiles, laughter and creative fun? How about letting the kids make their own holiday gifts to give? 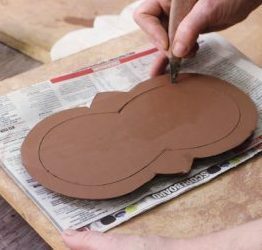 Bring the whole family to the Potter's Wheel for some special clay play! 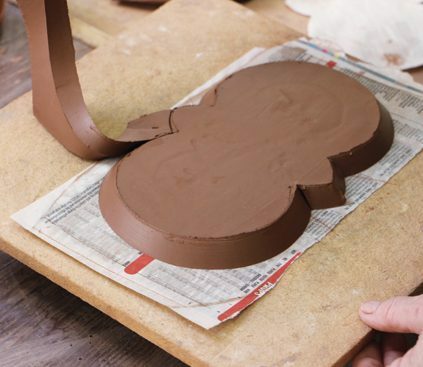 We'll give you a handmade clay ornament to paint or a block of air-dry clay and everything you'll need to create pendants, ornaments, small monsters and sculptures. The only boundary is your imagination! I was raised in Lithuania in a family of engineers, but my parents were always supportive of my interest in the arts. From a very early age I fell in love with both clay and drawing although my journey to becoming a potter was not straightforward. Since early on, I loved the tactile experience of clay and was fortunate to have had access to clay and to sculpture classes in elementary school and throughout high school. Upon graduating from high school I worked as a porcelain decorator at the fine bone china factory, Jiesia, in my native city, Kaunas. From there I went on to study ceramics at the Academy of Art in Vilnius, where I tried my hand at different methods of working with clay, including the potter’s wheel. Shortly after graduating from the Academy of Art I won a green card lottery and moved to New York City. My clay journey was interrupted by other practical everyday concerns, such as settling in a new country, improving my English, finding a job and raising my son. After a couple of years, I enrolled at and graduated from FIT with a Bachelor of Arts Degree in Graphic Design and spent more than ten years working as an art director in the advertising field in New York City. Somewhere along the way I felt the draw of pottery once again. I took some classes at the Greenwich Pottery House and subsequently at The Potter’s Wheel in Kew Gardens, which was closer to home. My first pots, after a long break from clay, could have easily served as paperweights, but they became lighter with time. I am still at the Potter’s Wheel studio, enjoying working with clay independently, where teachers, other potters and students have become like a family to me. I love the challenge of the potter’s wheel, which is a skill you acquire and improve with practice, but there is always more to learn and to strive for. I like to say that I am presently an art director by day and a potter by night. Besides, who needs sleep anyway? Working with clay I feel my connection to the earth and nature, which allows me to create forms that are both functional and beautiful, and incorporate a life and character of their own. I like to combine simplicity and opulence in my designs and for the design to follow and enrich the form of the object. I combine organic forms and motifs with geometric ornaments and abstract designs to reveal a juxtaposition of natural beauty to man-made environments. I leave a part of myself reflected in each pot I create and hope to share the warmth and joy of making them with those who use my pots. To anyone starting out, enjoy the process and be patient, observe and develop your eye in addition to learning a skill. As you come up against any challenge in clay remember that everyone started at the beginning and you will get better with practice. Don’t forget to enjoy a journey along the way! 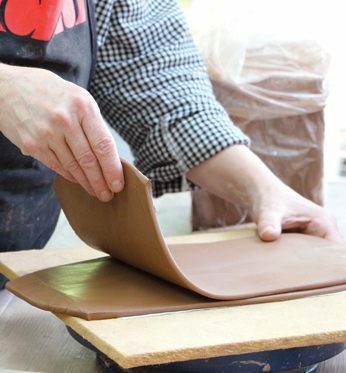 You can usually find Asta at the studio on Fridays, happily working her ceramic magic. Stop in and take a look at her wonderful, imaginative pieces or just say hello. Our January Semester classes start the week of January 7th 2018. 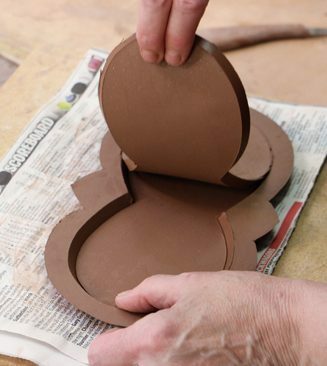 Our ever-popular Thursday hand building teacher, Margaret Wozniak, will be very busy this holiday season. She is exhibiting in two prominent juried craft shows. These are great places to find one-of-a-kind unique treasures for your holiday gift giving and Margaret's pieces will always be a memorable gift for that special someone on your gift list. Our remarkable resident potter, Asta Bubliene, is also busy this holiday season, with both craft shows and exhibitions scheduled for the coming weeks. Asta's pots are precisely decorated, nature inspired functional forms that are sure to please all the folks on your holiday list. The Potter's Wheel has been lucky to be able to participate in the gas and salt kiln firings at New Prospect Pottery in the upstate community of Pine Bush, NY for the past several years. The beautiful results we get keep us going back again and again. 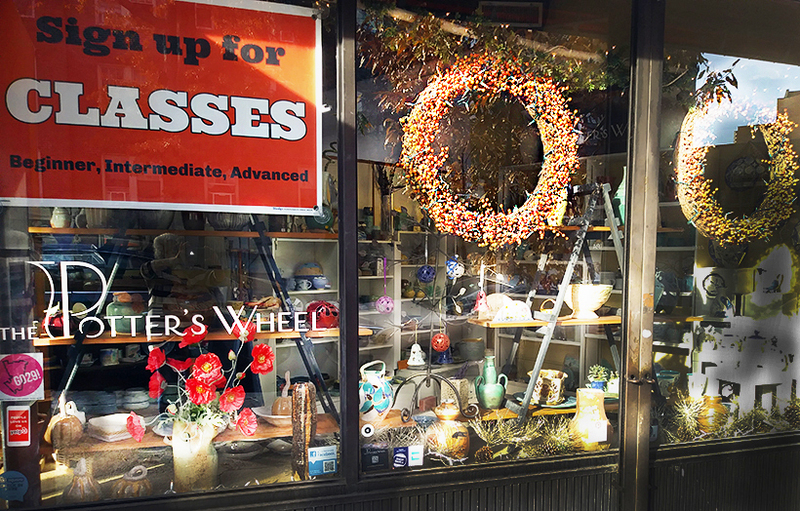 Proprietor, Lynn Isaacson has announced that there are two firings planned before Christmas. There will be enough work for one firing of each of the kilns (salt and reduction). The day for loading the last kiln load is December 16th, so pots will be out by the 19th or 20th- in time for Xmas gift giving. Don't miss this great opportunity. 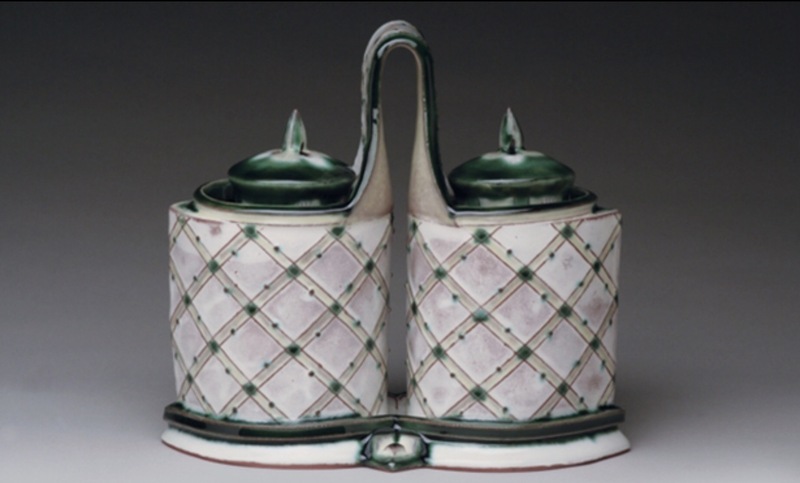 I was blown away by the way Katrina Chaytor makes a recessed foot on her salt and pepper caddies in the November/December 2017 issue of Pottery Making Illustrated. It just doesn’t seem like it would work, but Katrina layers two soft slabs and cuts out the center creating a perfect raised foot along the outer edge. In today’s post, an excerpt from the aforementioned issue of PMI, Katrina explains the process in detail. Not only is this a great way to make a recessed foot for her caddies, but I could see the technique being used to make trays, saucers, and large serving platters! – Jennifer Poellot Harnetty, editor. PS. To see how she makes her caddies and salt and pepper shakers, check out the November/December 2017 issue of Pottery making Illustrated! I smooth and compress the surface of the slab on both sides. I roll my slabs on pieces of drywall (taped at the edges to keep gypsum flakes from getting in the clay). 1 Roll out and layer two slabs for the raised platform base. 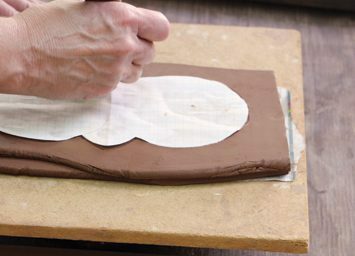 Gently roll the two layers on a board covered with newsprint. 2 Place the paper template for the base on the two layered slabs. Use a knife to cut out the base with a slight angle. 4 Cut the center piece out of the base’s top slab. Angle the blade for a beveled cut. Cut lightly into the second slab layer. 5 Remove the center piece from the base. Keep the cutout piece to use as a support for the base once it’s flipped again. 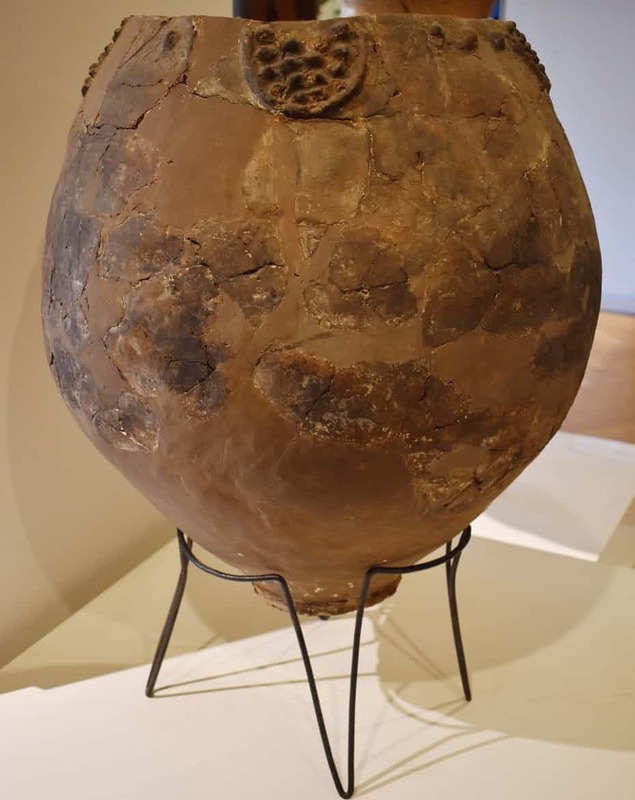 Until now, the oldest jars known to have contained wine dated from 7,000 years ago, with six vessels containing the chemical calling cards of the drink discovered in the Zagros mountains in northern Iranin 1968. The latest find pushes back the early evidence for the tipple by as much as half a millennium. 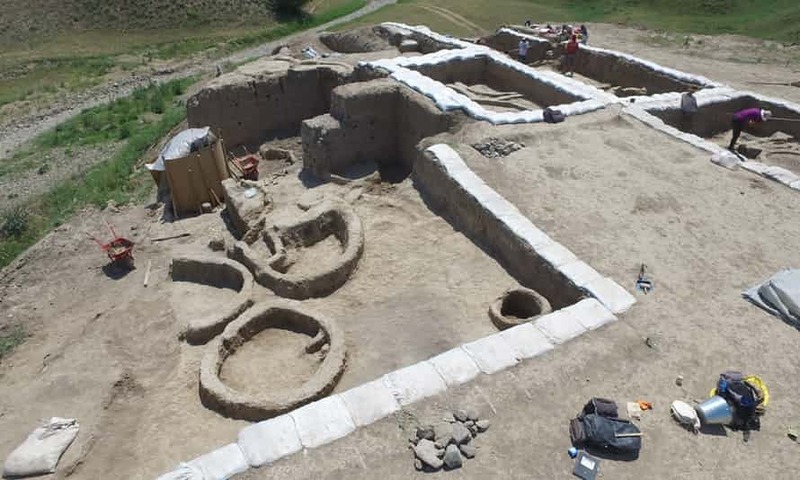 The find comes after a team of archaeologists and botanists in Georgiajoined forces with researchers in Europe and North America to explore two villages in the South Caucasus region, about 50km south of the capital Tbilisi. The sites offered a glimpse into a neolithic culture characterised by circular mud-brick homes, tools made of stone and bone and the farming of cattle, pigs, wheat and barley. Researchers were particularly intrigued by fired clay pots found in the region – likely to be some of the earliest pottery made in the Near East. Indeed, one representative jar from a nearby settlement is almost a metre tall and a metre wide, and could hold more than 300 litres. What’s more, it was decorated with blobs that the researchers say could be meant to depict clusters of grapes. To explore whether winemaking was indeed a part of life in the region, the team focused on collecting and analysing fragments of pottery from two neolithic villages, as well as soil samples. Radiocarbon dating of grains and charcoal nearby suggested the pots date to about 6,000–5,800 BC. In total, 30 pottery fragments and 26 soil samples were examined, with the inside surface of the pottery ground down a little to produce a powder for analysis. While many of the pieces were collected in recent excavations, two were collected in the 1960s; researchers have long suspected they might bear traces of wine. The team then used a variety of analytical techniques to explore whether the soil or the inner surface of the vessels held signs of molecules of the correct mass, or with the right chemical signatures, to be evidence of wine. The results, published in the Proceeding of the National Academy of Sciences, reveal that for eight of the fragments, including the two previously unearthed, the team found traces of tartaric acid – a substance found in grapes in large quantities. Tests on the associated soils largely showed far lower levels of the acid. The team also identified the presence of three other acids linked to grapes and wine. Other evidence indicating the presence of wine included ancient grape pollen found at the excavated sites – but not in the topsoil – as well as grape starch particles, the remains of a fruit fly, and cells believed to be from the surface of grapevines on the inside of one of the fragments. While the team note that it is possible that the vessels were used to store something other than wine, such as the grapes themselves, they note that the shape of the vessels is suited to holding a liquid and that grapes or raisins would have degraded without trace. Moreover, there are none of the telltale signs that the pots were used for syrup-making, while grape juice would have fermented within a matter of days. The findings suggest the sites were home to the earliest known vintners, besting the previous record held by the traces of Iranian wine found just 500km away and dated to 5,400-5,000 BC. Older remnants of winemaking have also been found at the Jiahu site in China’s Henan province, dating back to 7,000BC, but the fermented liquid appeared to be a mixture of grapes, hawthorn fruit, rice beer and honey mead. With their narrow base, the large clay pots used do not stand up easily, suggesting they might have been half buried in the ground during the winemaking process, as was the case for the Iranian vessels and which is a traditional practice still used by some in Georgia.